As a temporary employee of the Putnam County Election Commission, I watched almost 14,000 voters stream through the doors of our office during the recent early voting period. It was my task as registrar to check voters’ photo IDs, find them in the database and see that they completed the application for ballot. It’s a job that was never boring. I studied voters’ hands. I noticed their wallets as they rustled around trying to retrieve IDs and voter registration cards. And I paid close attention to what voters were wearing. This is in part because it’s against the law to wear apparel promoting a candidate currently running for office or a political party. During the recent election, for instance, it was OK to wear a shirt or cap that said TRUMP or HILLARY, but not anything that said BLACKBURN or BREDESEN. For me, caps were the most interesting item of apparel. Because we were crazy busy every hour of every day, I didn’t have time to write down all the different kinds of caps I saw, but I remember a lot of them. There were sports team caps—the most common, not surprisingly, being a Big Orange T. There were caps advertising banks and insurance companies and feed stores. A handful of voters wore MAKE AMERICA GREAT AGAIN caps (legal in 2018 but not 2016). A couple wore caps that said MAKE RACISM WRONG AGAIN. 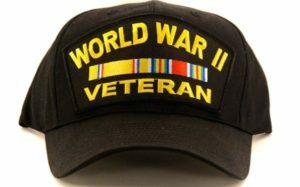 But the caps that brought a lump to my throat every single time were the ones worn by veterans. Sometimes the caps simply named the veteran’s branch of service. Others announced the war or conflict in which he served. DESERT STORM. IRAQI FREEDOM. Dozens upon dozens of caps said VIETNAM VETERAN. More than a few said KOREA. Last but certainly not least was the cap of the elderly man who slowly made his way to my station the last day of early voting. It said WORLD WAR II VETERAN, and that veteran announced in a voice clear as a bell that he was ninety-eight years old and proud to be there to vote. Many of the veterans showed a military photo ID rather than a driver’s license. One explained to me why his birthday was wrong in our database. Decades ago, he’d lied about his age so he could join the Army. They never had got his real birthday officially straightened out, he said, and he reckoned they probably never would. Some of the veterans who walked through our doors were still straight and strong. Others walked with a limp or rode in wheelchairs. Several toted portable oxygen tanks. A few needed assistance filling out their application for ballot because their hands were too shaky. All wore evidence of their service proudly. On this Veterans Day, and every day, I thank each and every one of them for their sacrifice for the United States of America.